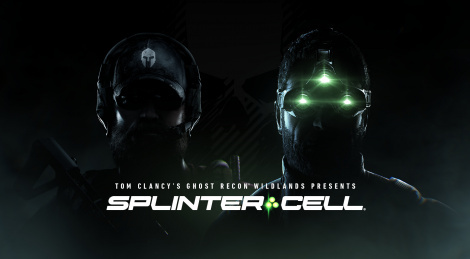 Year 2 of Tom Clancy's Ghost Recon: Wildlands starts today with the free update Special Operation 1 which comes with a special Splinter Cell-themed mission featuring Sam Fisher. The game will be playable for free on all platforms this weekend April 12-15. Hopefully, this means Ubisoft will reveal the new Tom Clancy's Splinter Cell game at this year's E3. Or that they at least picked up one of the sketches/proposals pitched for the franchise, that Ubisoft CEO, Yves Guillemot, said in an E3 interview last year. Also, while Sam Fisher's voice seems to be from Michael Ironside, is it just me or does it sound rough like he has a cold or something? Or maybe it's a new voice actor with a very similar voice, but it sure sounds off to what I remember his voice sounds like. It sounds like Ironside to me, I don't know anyone else who could that voice. Yea, as I much as I want to be Fisher again, feels like Ironside is just nit feeling it. Hopefully a smaller role of there is another SC around the corner. Yea, creating a new central character makes alot more sense than wheeling out a very rusty sounding Sam Fisher. I guess they could do a historical setting with a young fisher, old fisher narrating or something. Ubisoft states in its press release that Fisher is indeed voiced by Michael Ironside. I cant believe all these developers ruining there games by trying to appeal to the masses and non gamers . I have noticed something this generation , if you piss off your initial fans , good luck getting them back . Splinter cell was.awesome when you controlled sam fischer fully , rather than dumbing him down . What worked for one game doesnt necessarily mean its gonna work for yours. Games are great when the dev's want to make an awesome game . This is exactly what I am thinking, I really hope so! Amazon had already posted a "Splinter Cell 2018" page with an E3 logo on it, now this. It's 100% confirmed they're revealing Splinter Cell 7 at E3, with Ironside back on board.